The comments by 2014 are making me salivate with anticipation for this new car he writes of. Hopefully he’s what he appears to be…. Unlike many others though I like the above car. Super sleek snout good for aero and speed, though maybe a bit long. Awesome side flair coming from the vent behind the front wheel arch. The Euro flair seems good to me there, making it exciting but not cartoonish. The rear end seems boring though, and yeah, too reminiscent of the Camaro. 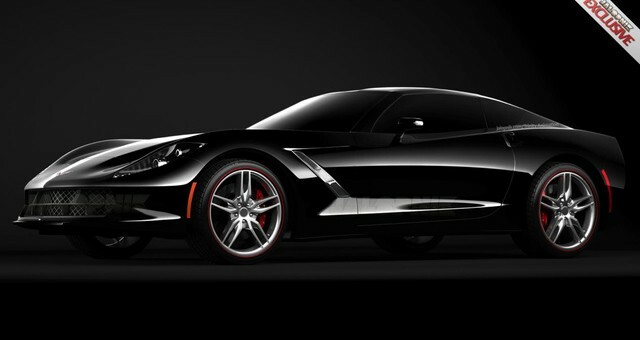 I certainly hope that this is not an accurate depiction of the 2014 C7 Corvette. Aside from the body looking all bloated a set way too high for such a performance care, the side vents have a silver inlay. Give me a break, this is one ugly car. What were the designers thinking or smoking when they designed this grotesque shape? Let’s just pray that this rendering is incorrect. I have been waiting just like every other corvette enthusiast for the new corvette in hopes that it will be another example of GM finally get’s its act together like with the CTS-V. Also because I have been saving every additional dollar I can for my next car purchase. I absolutely loved my C5 convertible warts and all and it made me a vette lover ever since. But if this is what it will look like I am not interested. I am not spending 60,000 dollars on an over hyped Toyota FRS!!! Even if they finally get the interior right. This has to be chevy’s next absolute gotta have it design in order to grow the brand and sorry but what I have seen just doesn’t say that. I have attached two examples of renderings that do.